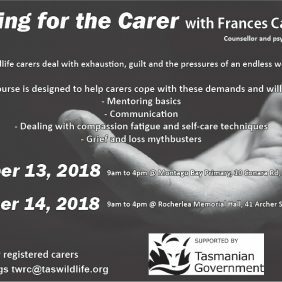 To achieve the best results for injured and orphaned Tasmanian wildlife, it is vital for wildlife carers, community and government to work together. With varying capacities to assist, every contribution, no matter how small, combines to achieve the best possible rehabilitation outcomes. 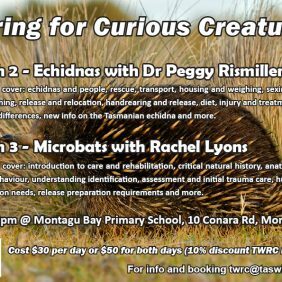 If you or your business can assist in any way, please contact the Tasmanian Wildlife Rehabilitation Council to discuss further.